Over the past decade, entrepreneurship emerged as an area of interest for policy and practice for policy makers, government agencies, donor organizations, financial institutions, entrepreneurship support organizations, universities and other stakeholders. Much progress has been made in promoting a culture of entrepreneurship and creating a favorable environment for entrepreneurs; however, starting a new business in Egypt continues to be a challenging venture for most entrepreneurs. In this report we examine the behaviors, motivations and attitudes towards entrepreneurship as well as characteristics of early-stage enterprises through insights from the Adult Population Survey of a sample of 2,500 individuals. We also examine the different aspects of the entrepreneurship ecosystem in Egypt expressed by 50 national experts through the National Expert Survey (NES). Through our analysis, we benchmark these aspects in Egypt against other GEM countries as well as countries of similar economic development level. We also look at the historical trend comparing Egypt’s 2015 data with previous data from 2010 and 2012. Together, these three data points provide an interesting story about entrepreneurship in Egypt before, during and after the January 25 uprising. Overall, early stage entrepreneurs in Egypt are around half the average global rate, indicating a workforce that is highly dependent on employment (government or private) rather than entrepreneurship. Over the past five years, business owners, whether entrepreneurs or established, have had a rough time. During the period between 2010 and 2015, more people are becoming interested in starting their own business, however, fewer are actually acting on this interest. On the one hand, the number of individuals engaged in starting a new business has doubled indicating increased interest in entrepreneurship. On the other hand, the number of individuals who have actually started a new business (younger than 3.5 years) has declined by one third. Moreover, established businesses are suffering: one third of the established business owners have exited their business over the same period, with rates of business discontinuation almost doubling mostly due to lack of profitability or access to finance. Societal perceptions of entrepreneurship are generally favorable as 73.6% of Egyptians perceive entrepreneurship as a good career choice, and 79.6% regard successful entrepreneurs in high social status. In terms of opportunity recognition, 46.6% of Egypt’s adult population recognize good market opportunities for new business. However, more than one-third of them shy away from starting a business due to fear of failure. About 32.6% also feel than they don’t have the ability to start a business due to lack of confidence in their knowledge and skills. Total early stage entrepreneurial activity (TEA) is the primary metric used in GEM. In 2015, TEA rate in Egypt was 7.4% compared to a global average of 13.0%. This figure indicates that around 7.4% of the adult population in Egypt (aged 18-64) are currently either involved in actively setting up a new business or have started a business that is younger than 3.5 years. TEA rates in Egypt have consistently measured slightly below the global average, and are slowly declining in global ranking. 42.4% of early stage entrepreneurs are necessity entrepreneurs, who started their business due to the absence of other work alternatives, which is a much higher rate than the global average of 25%. Most necessity entrepreneurs are running informal micro/small manufacturing or retail firms. They are not capital or knowledge intensive, and have limited or no aspirations for growth or job creation. In terms of gender distribution in Egypt: only one in every four entrepreneurs is a woman, and one in every six established business owners is a woman. Women-led businesses have a lower probability of continuation compared to men-led businesses. The rate of women participation is much lower than global averages and the gap is widening over time. In terms of age distribution: youth between 25-34 are more likely to become entrepreneurs than other age groups. Over the past five years, both early stage and established have been internationalizing at a rapid rate, with quarter or more of their sales coming from outside the country, and doubling from 21% to 45%. This may be attributed to the Egyptian Pound (EGP) devaluation and better emerging opportunities in export markets. Early-stage entrepreneurs in Egypt are more innovative than established businesses as 39% of early-stage entrepreneurs base their market expansion plans on new technologies compared to 3% of established businesses. They also enjoy a 40% adoption rate of latest technologies compared to only 3.3% of established businesses. Around 69.8% established businesses make no use of new technologies, which is consistent with being informal micro/small businesses in the retail or manufacturing sectors, with low competitiveness and domestic market focus. This is in contrast to 74% of early stage businesses who make use of new technology, indicating a higher level of innovation, competitiveness, and a different sectoral focus. Despite the overall challenging economic environment, there is an opportunity for entrepreneurs to play a strong role in economic recovery and future growth: interest in entrepreneurship is growing; successful entrepreneurs are regarded in high social status; and many entrepreneurs recognize potential business opportunities. Overall, Egypt’s entrepreneurship ecosystem ranks in the bottom quartile in most measures. Comparing the entrepreneurship ecosystem in Egypt with other GEM countries, we identify the strongest areas in physical infrastructure and internal market dynamics; the weakest areas are in the entrepreneurship education both at school and post-school stages and R&D transfer. These scores are broadly consistent with the averages of efficiency-driven economies, although they leave substantial room for improvement. Comparing Egypt’s scores over the past five years, we also notice a decline in several areas such as entrepreneurial finance (where access to finance is becoming harder, especially for early stage entrepreneurs); entrepreneurship education at the school level (where there is a consensus that the national education system does not provide the knowledge and skills required by entrepreneurs); and the internal market dynamics (where the level of change in the market from year to year is too fast and disruptive to business operations). On the other hand, there are improvements in some areas such as cultural and social norms (where there is more awareness about the importance of entrepreneurship, and higher social status associated with being an entrepreneur), and internal market burdens or entry regulations (where it is becoming easier to start a business despite the challenge in operations and survival for early-stage entrepreneurs). Entrepreneurship is a key driver for economic growth, job creation and competitiveness. It is also a great vehicle for socio-economic inclusion, youth engagement and a free and competitive economy. Over the past decade, Egypt has witnessed an entrepreneurial revolution, with a growing number of support organizations, emerging policy focus, and numerous government and donor support programs. The authors have been at the heart of this revolution through active involvement in the emerging entrepreneurship ecosystem, academic and applied research, and teaching. However, despite our progress as an ecosystem over the past decade, a lot remains to be done. Many of the successful programs operate on a small scale and need to be scaled up to the national level. Significant government and donor investments are pouring into the ecosystem, but need to be better focused and targeted using evidence-based analysis. Our collective knowledge of entrepreneurial behaviors, motivations, and attitudes in Egypt remains limited and anecdotal. There is visible need for more rigorous research to understand the behavior of individual entrepreneurs, the dynamics inside the startup firm, the culture at the national level, and the policy and regulatory framework at the government level. 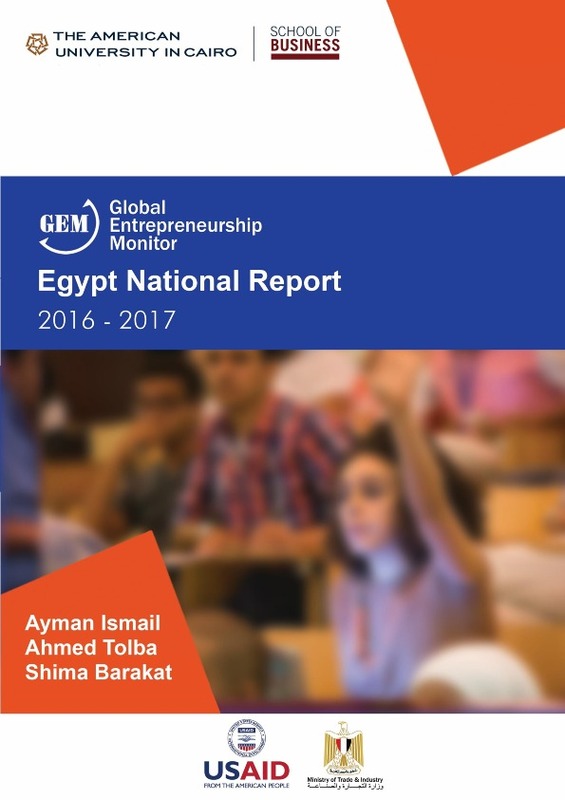 GEM provides a comprehensive study of entrepreneurship, tracking individual motivations, behaviors, and attitudes towards entrepreneurship in Egypt, and benchmarking them against GEM global figures and historical trends. 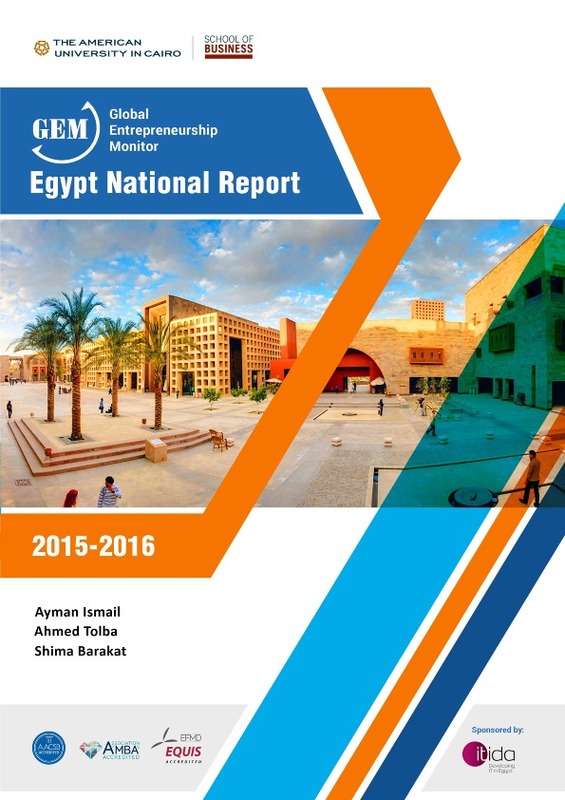 GEM also examines the different elements of the entrepreneurial ecosystem in Egypt and provides insights on the strengths and weaknesses in each area. 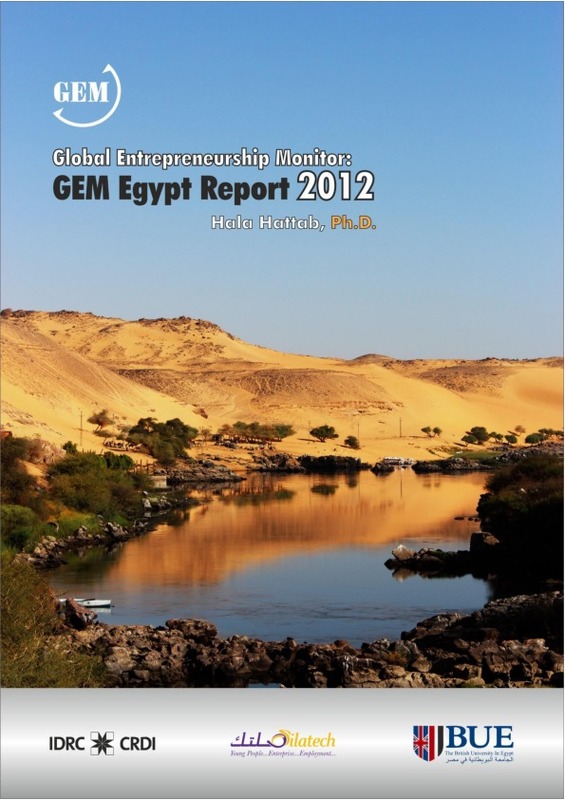 GEM Egypt report is a key resource for policy makers, practitioners, and development organizations. It provides evidence-based analysis on the characteristics of entrepreneurship in Egypt, with the objective of guiding policy decisions, institution building and investments decisions. 1. It is the first study that captures the effect of the 25th of January, 2011 revolution on entrepreneurship in the country; using a nationally representative sample. 2. It is the first study at its level that tackles the status of women in Egypt post revolution.